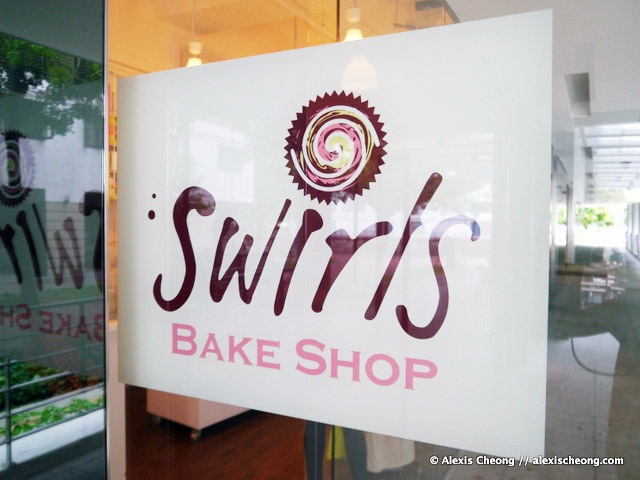 Debuting my brand new Panasonic Lumix GX-1 will be this post on Swirls Bake Shop! It's the first food review I got to do with my new camera last Sunday and I was really excited to try the camera out. Photos are kindly adjusted by jm! I also heard about Swirls from a few people. 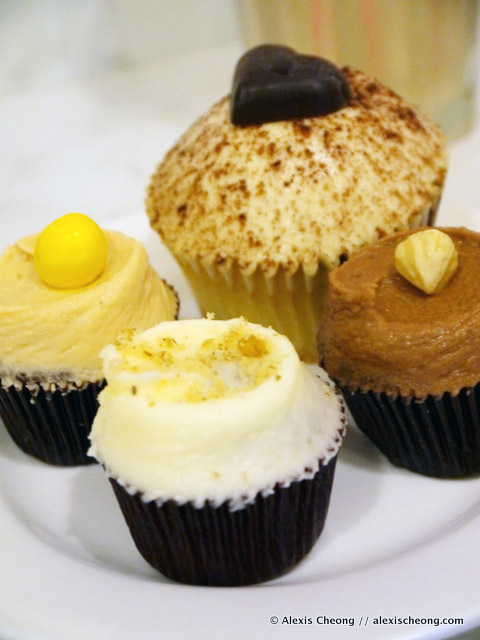 Apparently Timeout magazine said it was "possibly the best-tasting cupcakes we’ve ever had". 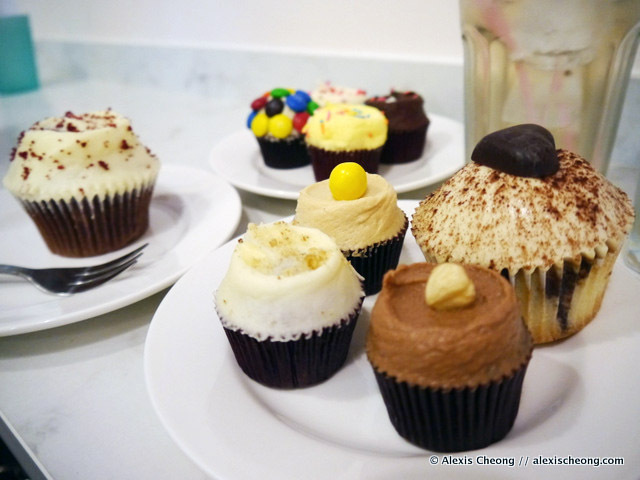 Well when we were invited by them to try it out for ourselves it's difficult to say no to cupcakes. The shop is located at the very trendy neighbourhood of Rodyk Street, very near to Kith cafe and Toby's Estate in fact. 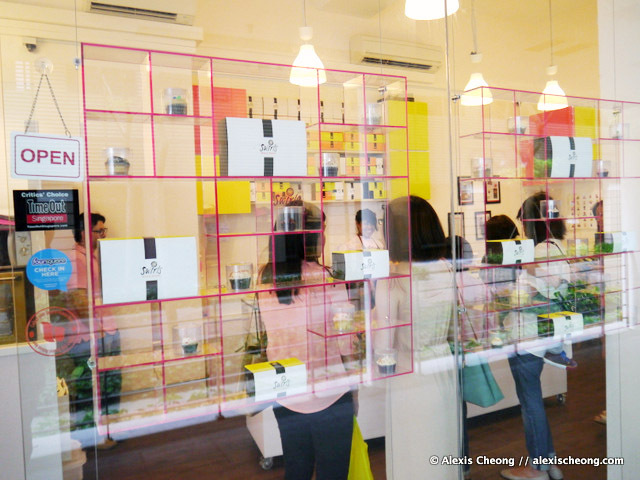 It is quite a small but cozy space that is divided into the kitchen and the shopfront. 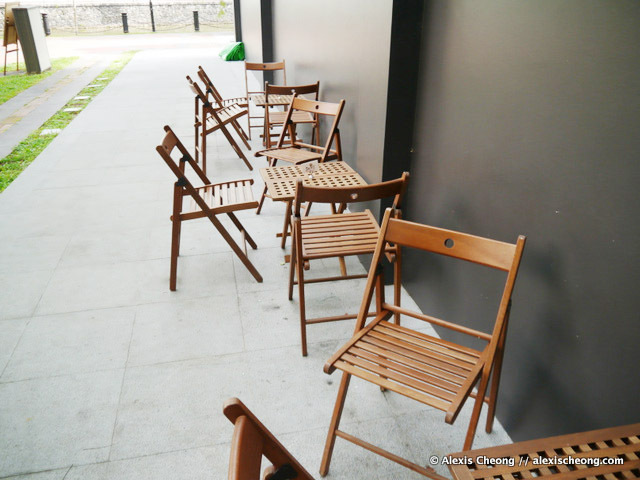 There are 4 chairs inside along a small counter, and more chairs outside. The goods welcome you immediately when you walk in! We saw a cute boy here for his sweet treat. He's cute! You can also see the space in the shop. On the walls are some charity art for sale, isn't that cool? 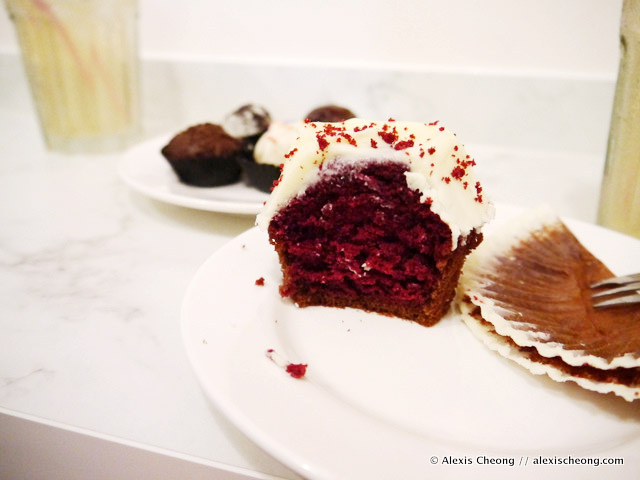 And here is the shop's star - The Red Velvet Cupcake ($3.95/$2.50). 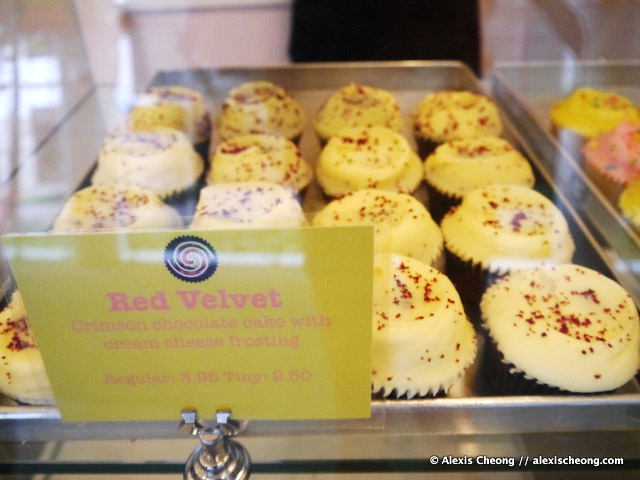 Swirls Bake Shop was started by a couple who went around the states tasting ALL the red velvet cupcakes they can find as research before they finally came back to set up their own. The lady boss came from a fashion background so the shop had influences from that. So here goes with the cupcakes! We had a total of 2 big and 7 small ones. NINE. And 3 cake pops. Also a very pleasant non-sweetened lavender drink which was perfect with the cupcakes. We needed that badly. We first started with the red velvet. 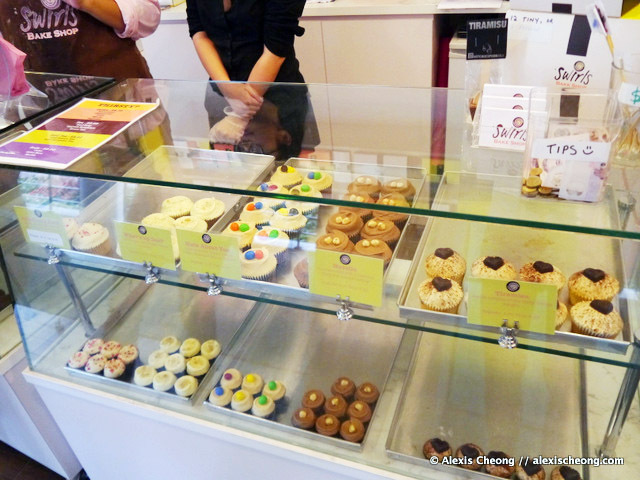 If you notice, all the cupcakes do not have swirly icing, ironically since the shop is called Swirls. We found that that is because the icing is 'handswirled' with a flat knife instead of piped from a bag. That's why every cupcake is unique. Well. The taste testing around all of the States did not go to waste. The Red Velvet was really delicious! The cake was soft and fluffy, adequately moist and looked so good with the red coloring. It was not too sweet and all together just very enjoyable. We both really liked this. 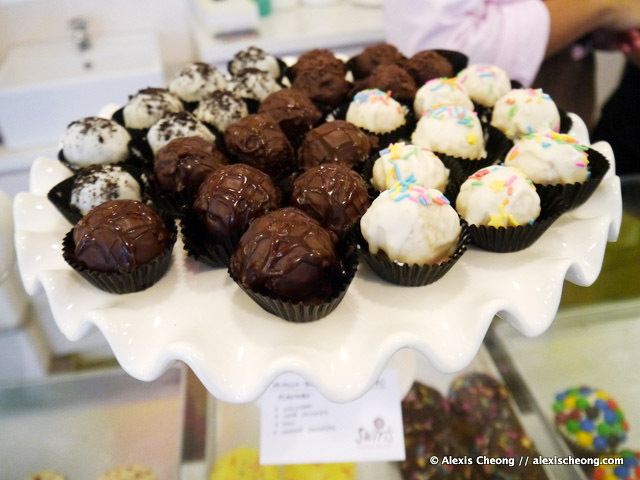 Here are some cake pops on display. I like how they look, like candy! However we tried some of them and I did not really like it. It is not cake nor chocolate inside. Instead it is this really solid sweet block of something. According to internet definition, cake pops are supposed to be mushed up cake + icing..
We then proceeded to try the rest of the cupcakes which came in flavors such as peanut butter, hazelnut.. the Tiramisu (big one) you see there is a limited edition flavor that was created for the month of July. Now that we are in August, there is no more of that, but there will be new ones out! I think my second favorite was the Tiramisu. Very soft and filled with the aroma and taste of coffee. Great as a breakfast cupcake! There are also other 'fun' looking cupcakes that is good for parties. They are more or less vanilla (and they use real vanilla beans!). The only problem I have with them was that they are slightly too sweet for me such that I cannot taste anything else. We also were lucky enough to catch Le Grand Cupcake (ok that's my name for it) that was completed and ready for delivery to a party. It's so huge, haha. 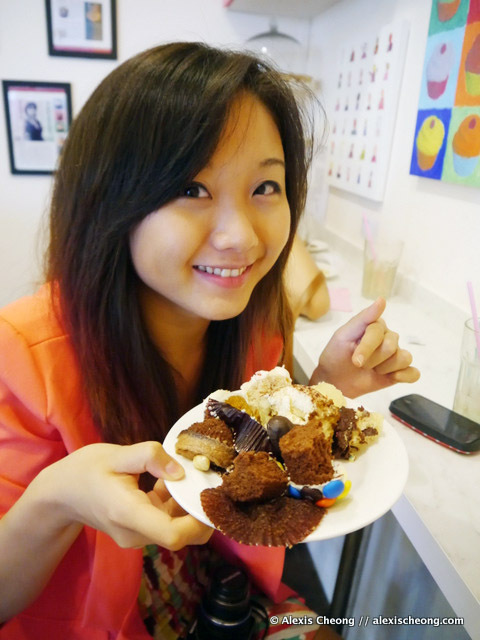 Here's my lovely cupcake companion, Steph! She's holding on to the cupcake graveyard. Unfortunately we could not finish ALL of the cupcakes even though we tried our best. 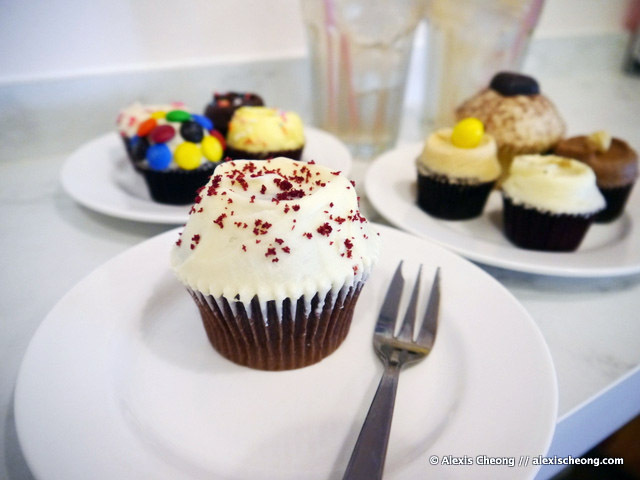 I still prefer Plain Vanilla Bakery's cupcakes among Swirls and Twelve Cupcakes. Giving this a neutral rating because the red velvet was great but the rest were slightly too sweet and did not stand out. However, the cupcakes will be great for parties and gatherings. Hope you've enjoyed my review and the photos. Baby boy says bye! This is an invited review but all opinions are honest and personal. Yummy Le Grand Cupcake! I totally dig being able to eat a dessert with a personal spoon...swoon!! !